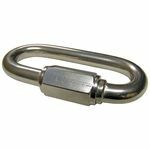 Our halyard is designed to meet the rigorous requirements of a flagpole use. 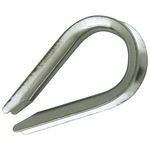 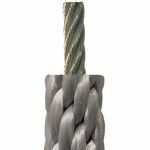 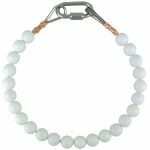 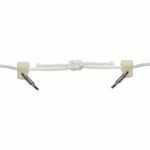 All halyards are made of solid braid construction with a smooth surface providing a firm, round, lock-stitched cross section that hold its shape under load. 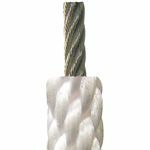 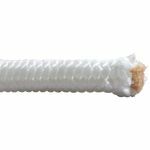 POLYPROPYLENE HALYARD:	This is a light weight, solid braid multi-filament halyard with good resistance to abrasion and rot. 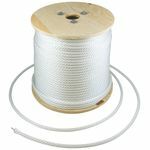 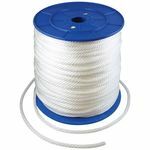 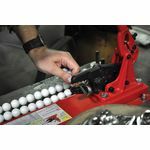 WIRE CORE NYLON HALYARD:	While maintaining the strength and flexibility of nylon, wire core nylon incorporates multi strands 3/32 in. 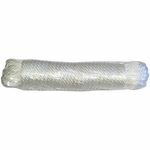 galvanized aircraft cable inside the halyard, decreasing the chances of halyard failure caused by abrasion or cutting.